In this valley by no means all the queens of the New Kingdom were buried. 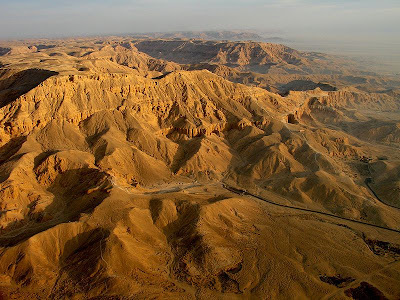 It appears that a special burial ground for the royal consorts was started only in the reign of Ramses I and royal offspring were also buried here. 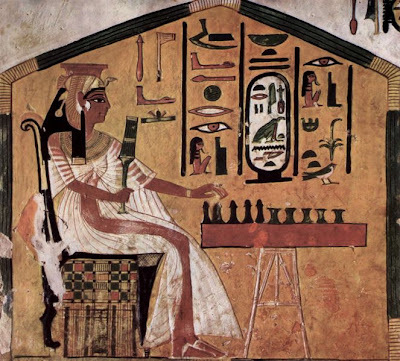 There are signs that previously the queens were laid to rest beside their husbands in the Valley of the Kings, but pillage of the royal tombs makes it difficult to confirm this. There are over twenty tombs in the Valley of the Queens. Many are unfinished and entirely without decoration, resembling caves rather than sacred tomb chambers. The most impressive is that of the wife of Ramses II, Queen Nefertari, his favorite. Restoration of this tomb, carried out by an international team of experts, has now been completed (see page 175). The tomb is officially open, but not yet to group travelers. Experts feel that time is needed to give restorers an opportunity to observe the long term effects of the work done before large masses of people are admitted.